Imelda votes to set a good example for her kids, and to honor the women and people of color who fought for her right to vote. Photo by Denise Miller. 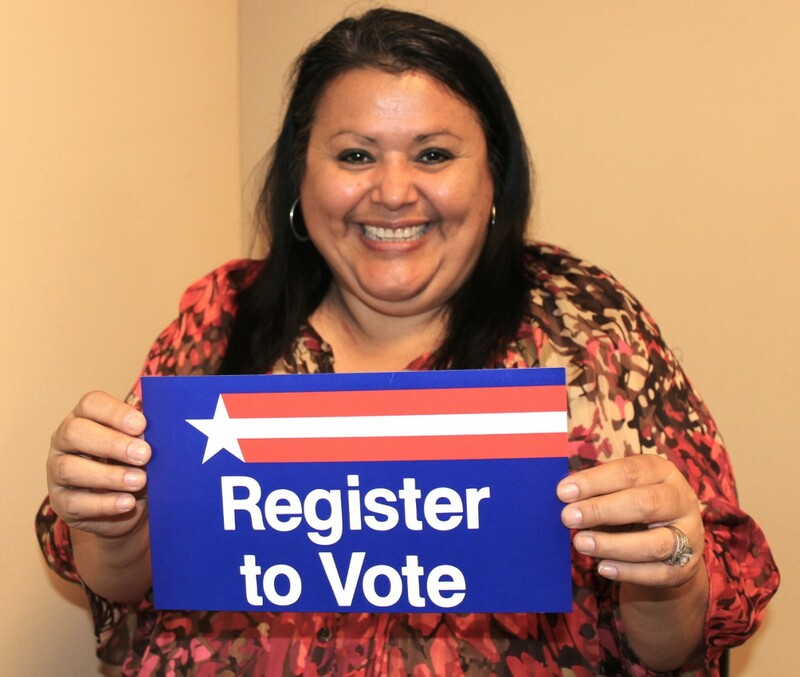 Join the National Registration Day movement;register to vote, or update your registered address now. Then watch our latest video, in which Imelda, an immigrant from Mexico, shares why she votes. 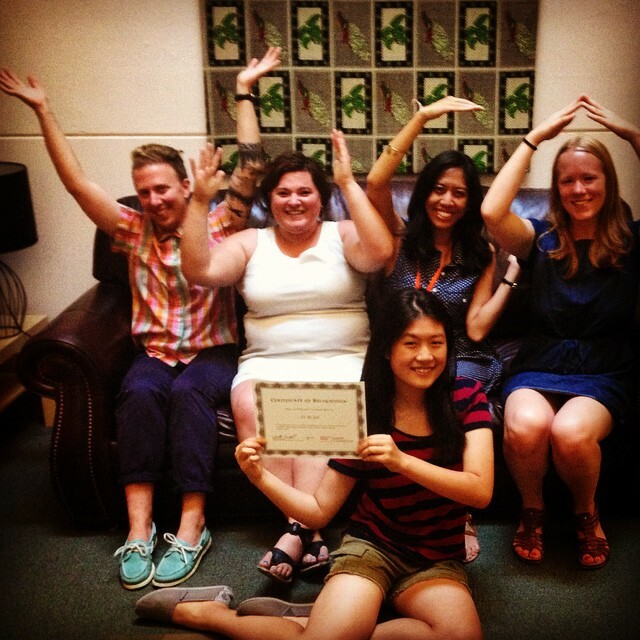 It's fun to intern with the Y-W-C-A! GirlsFirst summer intern Leyi Lei (front) strikes a pose with members of YWCA Seattle | King | Snohomish's Community Engagement team. 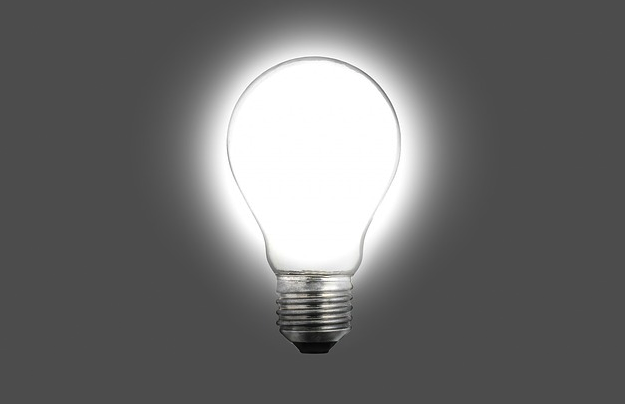 As part of her internship, Leyi wrote today's blog post about the importance of voting. Photo credit: Katie Barnett. Tomorrow is National Voter Registration Day! Need a little nudge to register or update your address? Read this second part of our "Why I Vote" series, in which high school student Leyi Lei shares why she can't wait to vote. 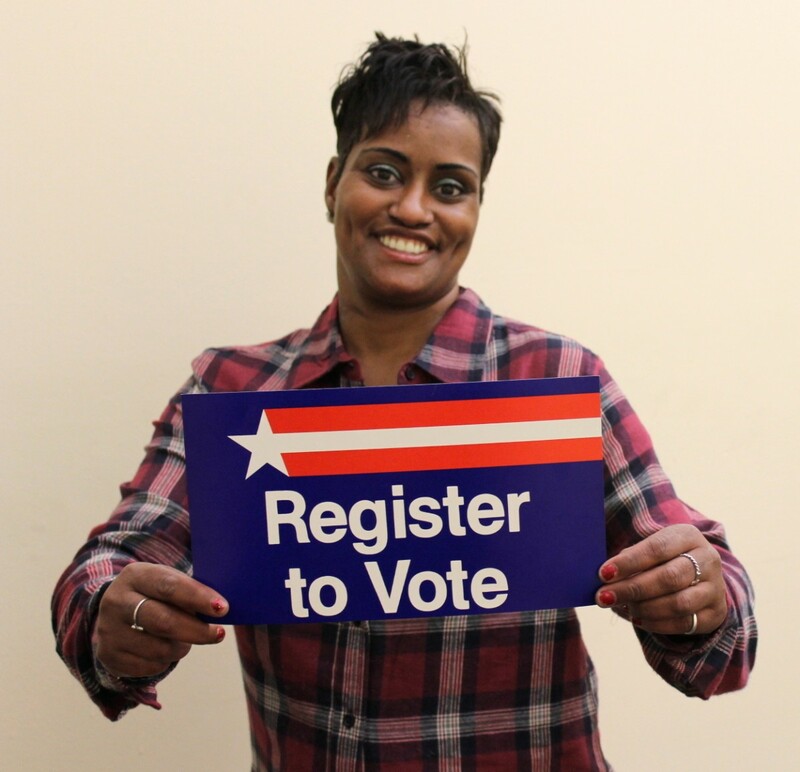 Lakesha has helped more than 50 people register to vote this month. Image credit: Denise Miller. Registering to vote is the first step in creating change. To inspire you to register (or to update your address if you’ve moved), we invited a variety of people to tell us their thoughts on the importance of voting. First up is YWCA resident Lakesha. In this final post in our series on homelessness in the public education system, Perry Firth profiles promising programs that are addressing the needs of children living with poverty and toxic stress. Read about First Place Scholars, The McCarver Elementary School Special Housing Program, and trauma-informed schools in Washington state.